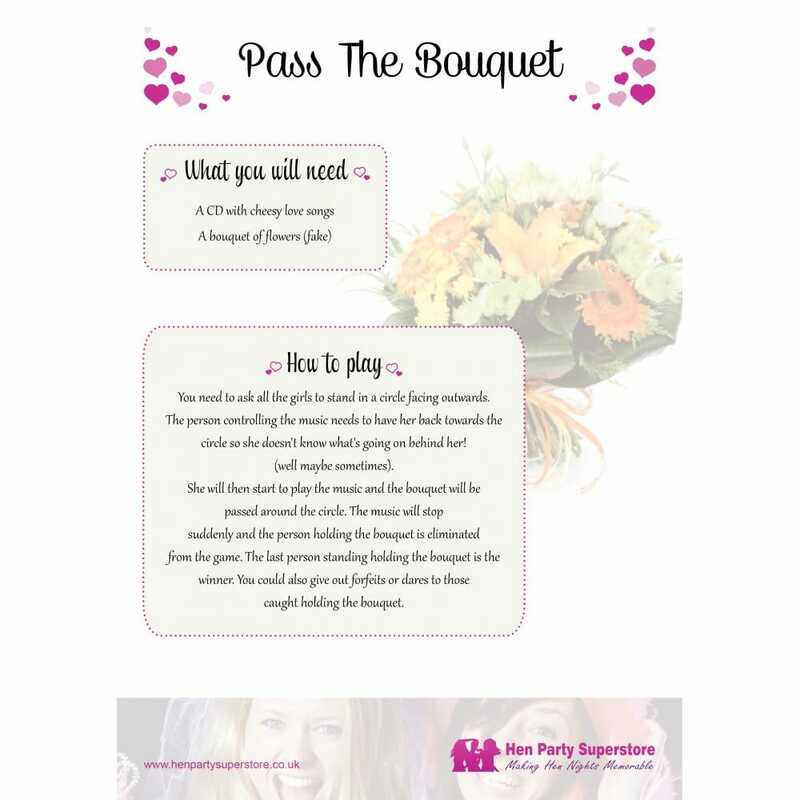 Transport yourself back to your childhood with this musical chairs/pass the parcel inspired game, but instead of a chair or parcel to open you pass a bouquet or any other wedding item you can find. Unfortunately there are no presents to open in this game just whoever is last in is the winner. Just a small amount of harmless competitive fun!! Tip - Each eliminated girl has to down a shot.